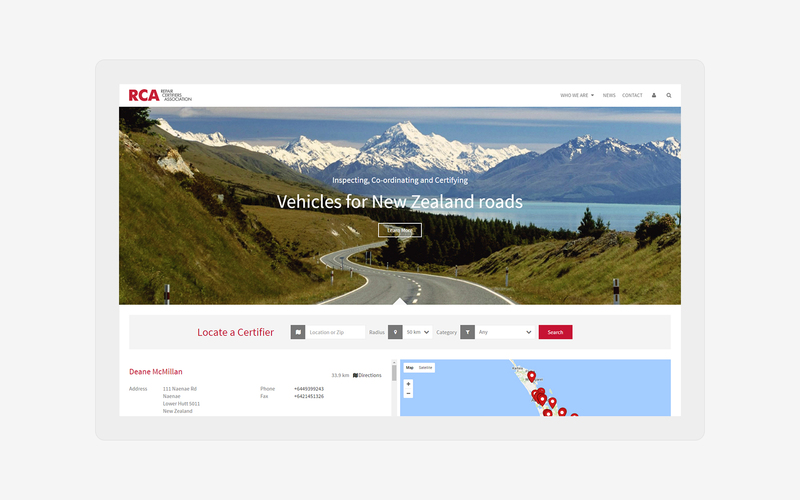 Repair Certifiers Association (RCA) is a group of professional panel beaters appointed by the NZTA who inspect, coordinate, certify and validate body repairs on used vehicles entering the New Zealand fleet. 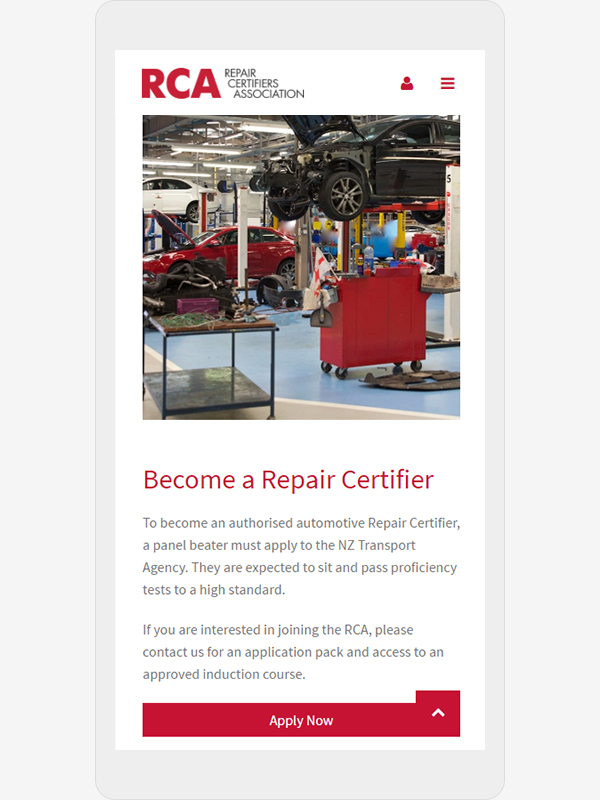 RCA provides industry related news, guides and a certifier locator tool for public use, whilst a members area enables the RCA to connect with certifiers nationwide to share standard operating procedures, codes of practice and list faulty vehicles. 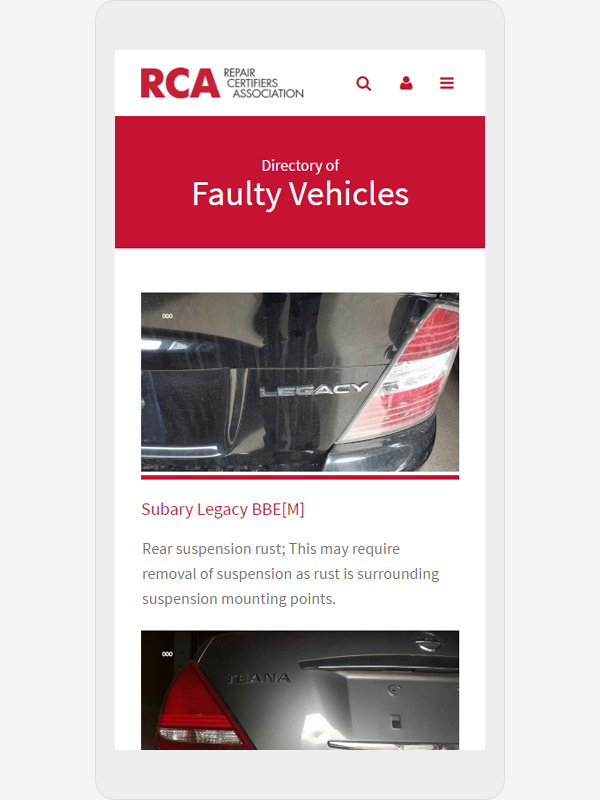 The faulty vehicle directory allows the RCA to notify the network quickly of common or special problems being detected, how to resolve them and what your responsibilities are. 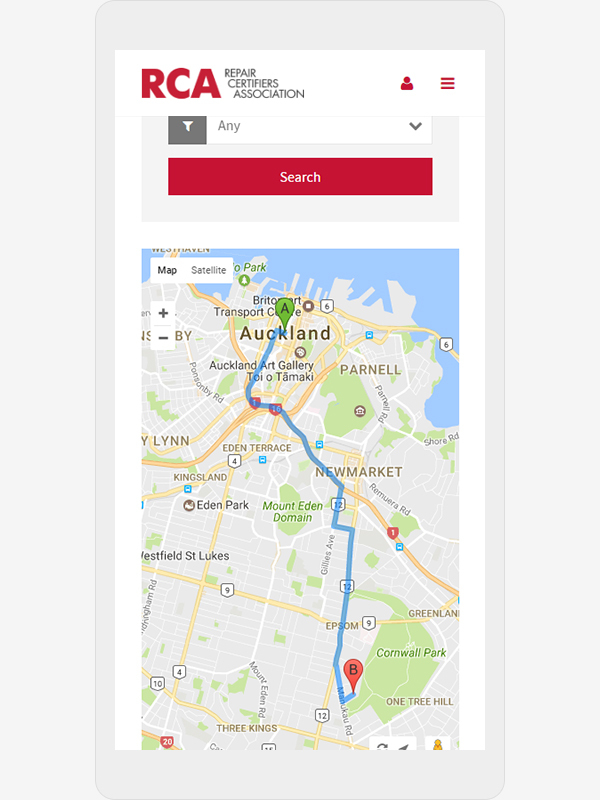 With the list of vehicles growing every day a search and filtering tool was developed to locate make and model quickly. 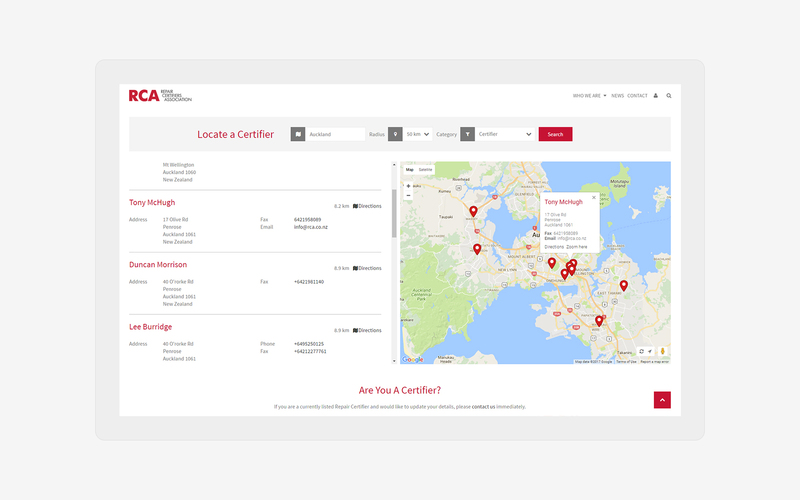 Locating a certifier is easy with auto geolocation detection. 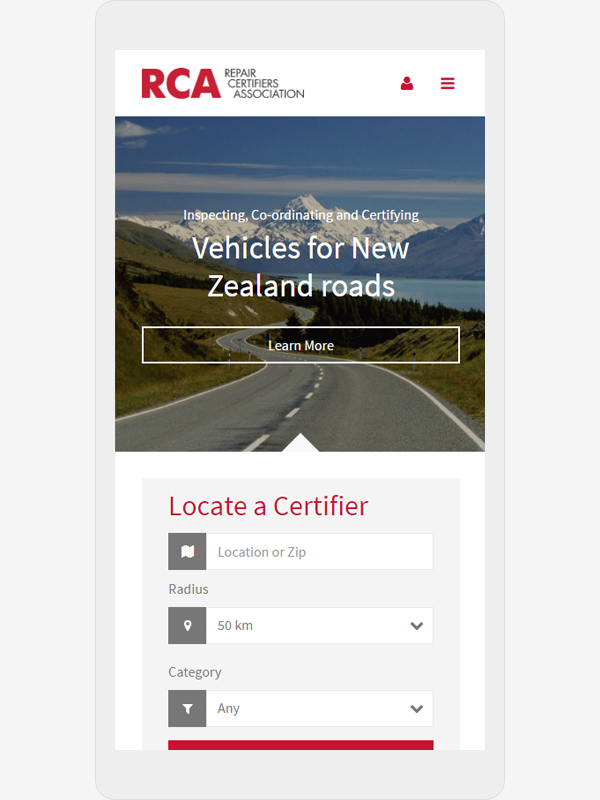 Users can also filter the results by radius and see driving directions to a nearby certifier. There are many scenarios where this powerful application can be used.